I am 3 years out of undergrad. I haven't been back to school in 3 years. But that doesn't mean I can't get in on the back to school spirit. Is it weird that a 26 year old loves back to school time? I hope not! I loved getting back into my campus during college & finding new ways to decorate my dorm or my apartment. Since things changed every year I could really switch it up often. Man I miss those days! 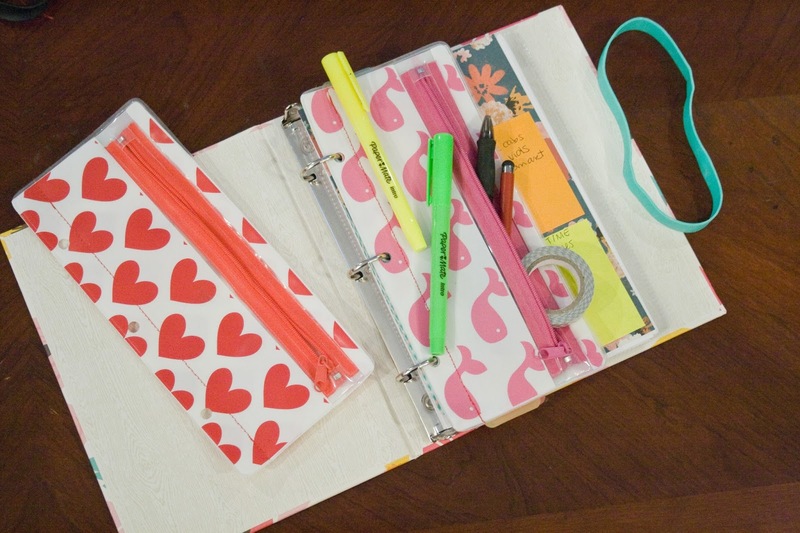 Add a pencil case to your small, three ring binder or planner using this tutorial. You'll need a plastic pencil case, sewing machine, and hole punch. 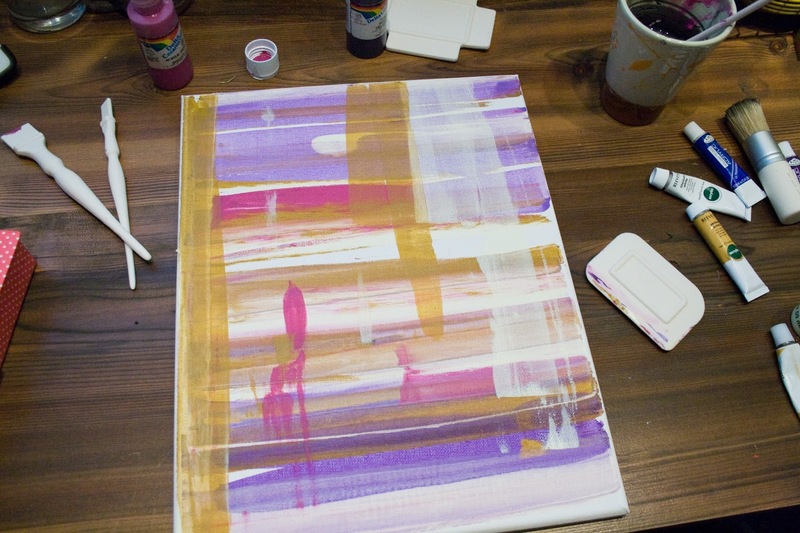 Make a simple, 10 minute abstract painting with this tutorial. You'll need paint, these squeegees or an old credit card, and a hair dryer. 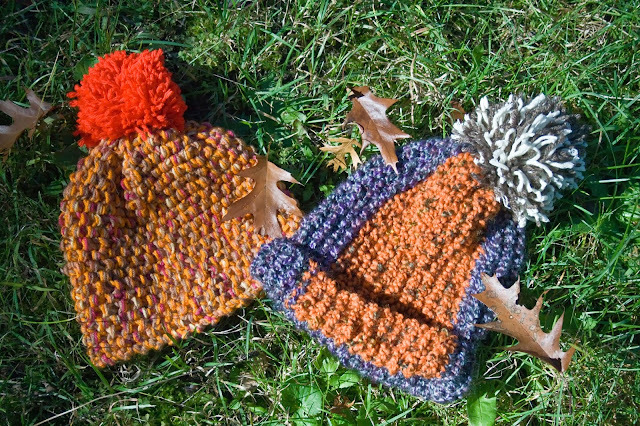 Knit two simple hats to spice up your campus wardrobe with this tutorial - no circular needles required! You'll need large needles, chunky yarn, scissors, and a little bit of time. 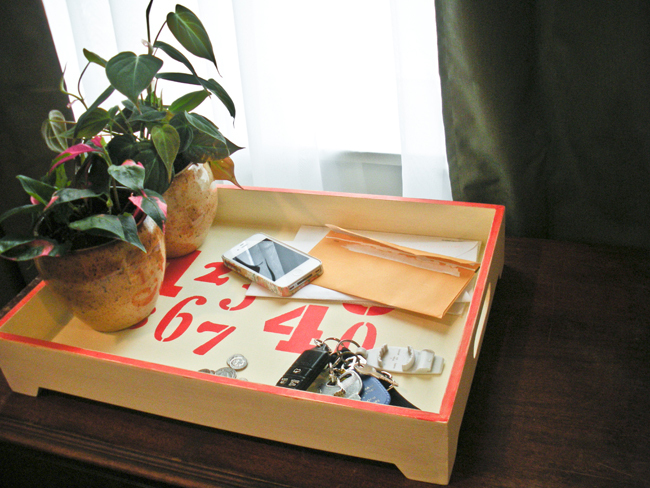 Revamp a thrift store tray with paint & stencils using this tutorial. 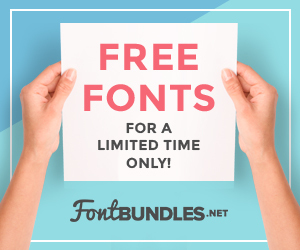 A great way to spruce up your dorm or college apartment. 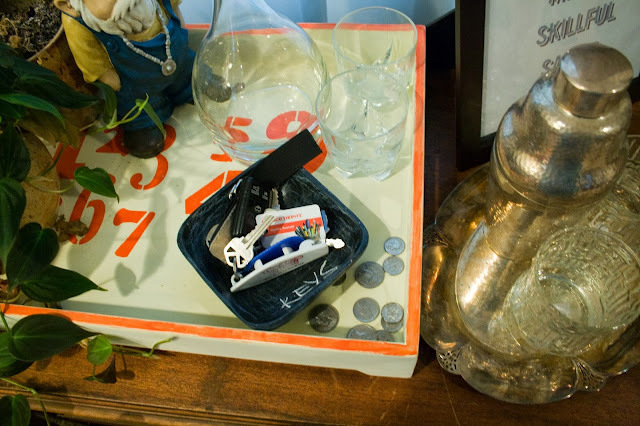 You'll need a thrifted tray, these Handemade Charlotte stencils, paint, and brushes. Create a key catch all with this tutorial to add to your decorated tray. You need a small wooden bowl from the thrift store, chalkboard paint, sand paper, and a brush. 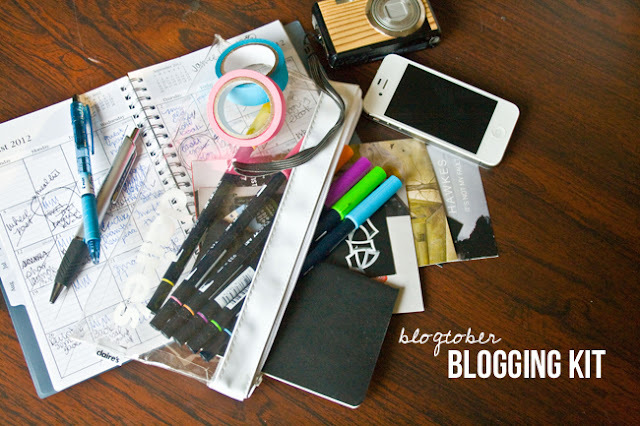 Just for fun, here is 2012's Back to School DIY round up. Why didn't I do one in 2013?? ?